What would it look like to host a conversation on the varied intersections of stewardship and media and all things ministry in the twenty-first century? How could we as Presbyterians and Lutherans model ecumenical collaboration critical for church witness in our local cities and neighborhoods? Would it be possible to host a conversation that would at least acknowledge, if not reduce, the anxiety that surrounds new media and the here-to-stay digital world? Dare we suggest the possibility of stewardship and digital platforms for generosity and community formation as sacramental, means to encounter God's grace and proclaim the gospel? As local PCUSA and ELCA ministers, we raised these questions and more to one another over coffee and the occasional beer. We also knew these were questions others in our synod, presbytery, and related congregations were asking. So, with the respective support of our communities, we recruited voices in the church who are exploring the edges of ministry in a digital world, Adam Copeland, Mihee Kim-Kort, and Keith Anderson, pulled together a panel of practitioners for a fishbowl discussion, and launched #MoneyMissionMedia: Insights & Strategies for 21st Century Ministry. Lutheran Theological Seminary of Philadelphia even graciously offered to host. 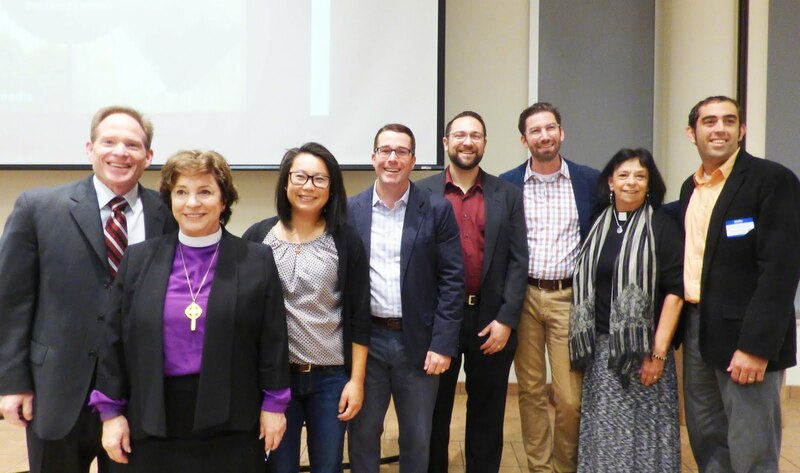 We initially targeted 75 conversation partners across both the local ELCA Synod and the Presbytery of Philadelphia. On Tuesday, over 200 showed up. I learned much. What I most valued was the praxis of ecumenical collaboration that continues to deconstruct any territorialism that impinges upon our larger Christian witness in and for the world. Even more, the conversations were raw, honest, deeply theological, and rooted in a commitment to contextualized expressions of the gospel. As our Presbytery's own Rev. Ruth Santana-Grace noted in the opening remarks, "We are indeed in a new Pentecost moment." May the church dare embrace it. My tweets from that day.